Do want to find out more about insurance for art and artists? Do you need insurance for your art, artistic assets or artist's studio? Are you exhibiting your art - and need insurance? ​Are you planning an art class and need insurance for public liability? Are you working from home - and need to ensure you don't invalidate you domestic cover? Are you opening an art gallery and want full cover for all business risks? Are you moving your art - and need cover for transportation? Do you need insurance for an art installation? Do you need insurance cover for an art collection - but haven't got a clue where to start looking? Make insurance information for artists geographically relevant - organise information about insurance for art and artists by country. ​Highlight insurance specifically designed for artists and art collectors - Over time, I also aim to try and crowd-source recommendations about different insurers - and which to avoid. Together with a note about what this site NOT cover! WHAT SORT OF INSURANCE DOES AN ARTIST NEED? Plus notes on common uninsured risks e.g. Stories from scenes of fire, flooding and tornadoes affecting artists, art schools and art galleries. Plus case studies, images and videos. I do NOT offer advice as to the most appropriate insurance strategy or policies for YOU. Guidelines are generic i.e. general. I am NOT liable for any problems you have as a result of reading this page or any site it links to. YOU make the decisions not me. I'm in the same boat as you - just looking to see what's out there. The only difference between you and me is that I created a website which tries to pull relevant information together in one place! Only you can satisfy yourself as to what insurance cover you need and whether the policy you buy does all it needs to. I do not specifically endorse any services offered by advertisements. I'm also not responsible in any way for the services provided at the other end of a link. the country they live in! Below you will find explanations of the different types of insurance, what risks they cover and why you may need them. What do you insure as an artist? Artists take a variety of approaches to the insurance of their work. ​However I now know four artists who have lost their studios and everything in it to catastrophic events - and it makes you think and reassess just what should be covered. Try the Poll (in the yellow box) and see how you compare to other artists. POLL: Being an Artist - what do you insure? an exhibition - in a gallery and/or run by an art competition or art society. Legal aspects of your 'duty of care' - covering your liability as an artist towards third parties - will vary from country to country. Below is an overview of the situation in the UK. This covers you for your legal liabilities if you cause any injury to people (including death) and/or damage to the property of third parties. These liabilities usually arise when people are working in and/or present in a property (including the associated land) where you have a legal duty of care to provide a safe and healthy environment. Your artwork might also cause injury or death or damage and public liability insurance also covers this - including the installed artwork for those who commissioned it. Why does an artist need public liability insurance? To be able to work or hold any activities in any public space - or a space which members of the public can access (eg open studios, workshops in the artists studio) you must have public liability cover. If renting the space this is often a condition of the rental. If you own the space you can risk being sued for injury or death or damage if anything untoward were to happen. Public Liability Insurance cover often runs to millions of pounds. A guide to Public Liability Insurance for Artists. Read about the cover that Artists need to have comprehensive business insurance cover. All a-n's UK Artist + AIR members get free, specially tailored public and products liability insurance with their annual membership. Here, a-n's Director outlines why making sure you're properly covered is essential for every practising artist. This was the result of an earlier version of this poll. Note the score for Public Liability Insurance! Here are some stories of the practical realities faced by artists, art schools and art galleries when disaster stared them in the face. I highlighted most of the stories below on my blog when it happened because it seemed to me everybody needs to remember that one day it could be YOU! In 2014, fire raged through the iconic Grade A Listed Mackintosh building of the Glasgow School of Art designed by Charles Rennie Mackintosh. After the fire they had a very major project to work out how to reinstate this iconic building - and how to raise the funds to do this. 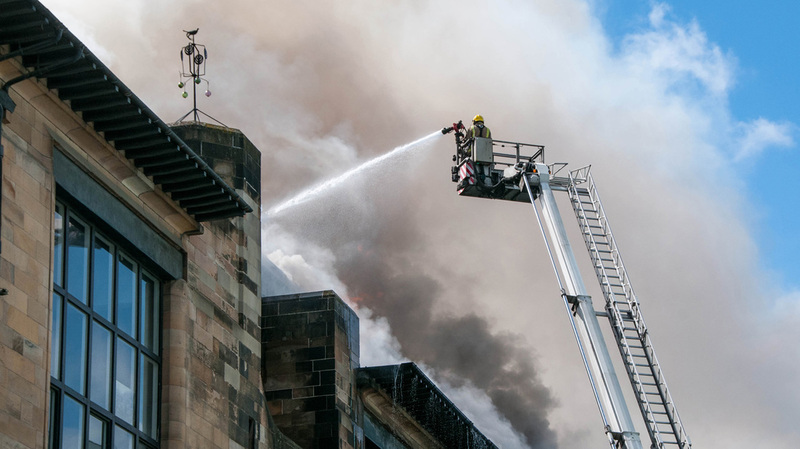 Mackintosh Building Fire Fund | The Scottish Government pledged to match up to £5m raised by the Glasgow School of Art for the restoration of the building. On 13th February 2013, The Pratt Institute in New York was seriously damaged by fire which took nearly 170 firefighters to extinguish. It destroyed the studios of the Fine Art Seniors and their artwork for their senior projects. 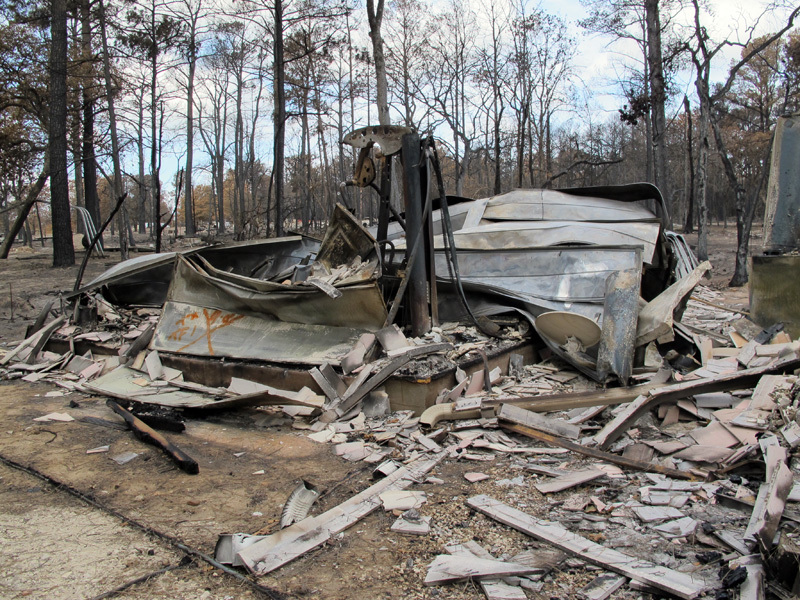 The Institute focused on resilience and reputational issues as well as the need to rebuild. Pratt Institute: Fire Safety - Emergency Response Quick Reference Guide - does your institution have one of these? On the night of 15/16 June 2018, fire AGAIN raged through the Mackintosh Building at the Glasgow School of Art (see ANOTHER Major Fire at Rennie Mackintosh's Glasgow School of Art). It lost its roof and top floors - and all the refurbishment done after the last fire in 2014. .....The good news is, we have fire insurance. Carol Marine (Painting a Day) and her family used to live in Texas - until a fire storm burned down their house and her newly built studio and all her materials and equipment on 4th September 2011. They got out with minutes to spare. This is their story. Before the Fire and Update cover the fire. Building My Studio is so sad. It covers the process of building the studio and includes photographs of how much is left after a fire burns everything to the ground. Her husband then wrote about Our Plans and their move to Oregon. The aftermath goes on for a long time - and a lot of it is good! Her family lived in a camper for a whole month after the fire and then Carol recorded her family's subsequent move to Oregon, finding a new home, getting her studio back in action and her new life in A New Beginning. If they didn't have fire insurance it could have been very different. Artist Proof Studio burned to the ground on March 9, 2003, ten years after its founding, Artist Proof Studio burned to the ground. 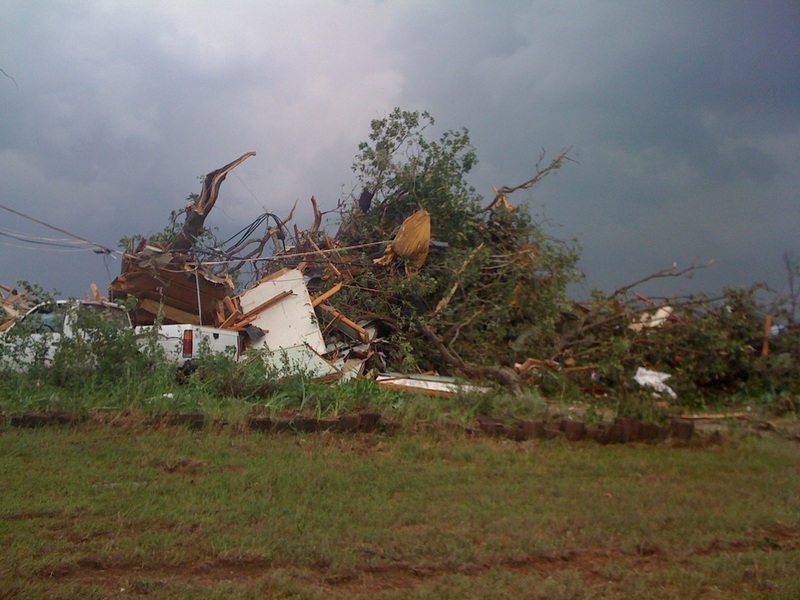 it took only seconds to blow our house apart, snap off every one of our beautiful oaks, flatten the surrounding forest, sweep away the barn, trash both vehicles, and bury everything we own under a mountain of debris. Love, Sweat and Helping Hands - explains how the community responds and the many tasks involved in putting life back together - plus images of the devastation. Debbi Kaspari's home in shambles under fallen tree trunks, branches and crowns. Many dealers are not openly discussing their losses pending talks with restorers, insurance agents and lawyers, not to mention artists. Colin Quinn, director of claims management at AXA Art Insurance. Chelsea Art Galleries Struggle to Restore and Reopen - art galleries were hit hard when New York was flooded. Did you know that if the artist is still living that only they can determine whether and how the artwork is repaired? Houston Art Galleries were prepared for the devastating rain and flooding associated with Hurricane Harvey. Insurers are getting more savvy about how to protect their clients from submitting huge insurance claims! Believing that an ounce of prevention is worth a pound of cure, some insurers will send in specialists to prepare a home for disaster, for instance, while others will pay to move valuables out of harm’s way. Museums and cultural institutions across Miami are preparing as well, announcing widespread closures and watching the weather in advance of potential landfall. .... museums in Miami have well-developed plans for securing and transporting artworks in the event of extreme weather. In general, artists had better warnings about what they needed to think about both before and after the flooding associated with recent hurricanes. CERF+ - The Studio Protector - an online guide in what to do get ready, get relief and stay connected. A flood is not water. A flood is a toxic substance usually. This insurance is typically only available from specialist insurers whose customers are the couriers and haulage forms which typically transport goods and need insurance against theft, loss or damage. evidence that the exhibition or gallery packed your artwork according to you instructions/specification. If you didn't provide these you might be held responsible if anything gets damaged. Posts providing information and advice for artists about insurance are few and far between - hence why this resource was developed in the first place. As I find new and useful links to advice online I'll be adding them into this section. Insurance for Artists - can you help? Artists Insurance is one of those technical aspects of being an artist which is apt to catch us out from time to time - and it's always good to know what our options are! 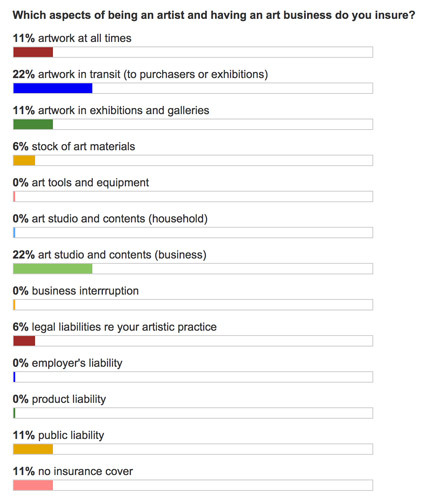 POLL: Do you insure your art and art business? March's Making A Mark Poll enquires into your insurance of your art and art business? 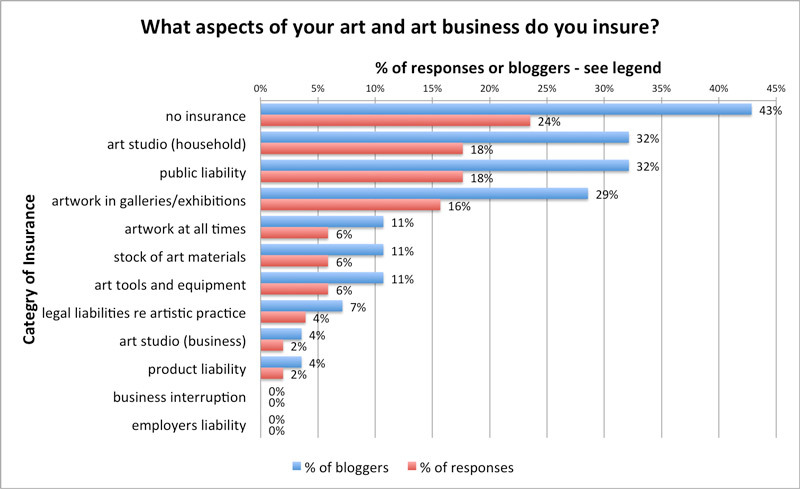 Specifically it asks What aspects of your art and art business do you insure? Do you need insurance to run an art class? - The short answer is "Yes" - insurance is needed for an art class because the public are involved. Shielding Art From Wicked Weather | | Risk and Insurance (By: Steve Yahn October 15, 2015) - In response to a need to protect fine art and other collectibles from natural catastrophes, the art warehouse industry is on the rise. Q and A with Donna Anderson of The Exhibition Alliance on Art Insurance - provides information about art insurance for artists, exhibitions, and museums. Art on the Move | Risk and Insurance (By: Steve Yahn April 8, 2015) - Underwriting the transportation of fine art is tricky, but some large insurers are keeping the market covered. The inclusion of a link to a website does NOT endorse or otherwise indicate the organisation provides either a reputable and effective service. However one has to start somewhere when inviting quotes! Insurance Section - a-n - they have developed a range of insurances for Artist and Arts organiser members. Covers Artists' Public and Products Liability insurance (PPL) - £5m PPL insurance cover is included with Artist + AIR membership; ​Artists' insurance policy (AIP) | Insurance | AIR | a-n - For Artist + AIR members wishing to buy additional insurance such as for artwork and materials, studio and contents, and employers’ liability; ​One-off Exhibition Policy - available to members of a-n only; brokers Hencilla Canworth Ltd and a-n have developed this One-off exhibition insurance policy for practising visual and applied artists wishing to insure their work whilst in transit to and from and whilst on display at an exhibition. Creative Freelance Insurance Policy for members of a-n's Arts Organisers scheme | Hencilla Canworth - Low Cost Public Liability & Professional Indemnity Insurance For Self-Employed Arts Professionals. Also available to those with an insured occupation for the purposes of this insurance i.e. Directing, curating, commissioning, managing, coordinating, producing, acting as agent for, consulting on, or assisting with the creating of arts and cultural activities including but not limited to public and community art, arts education and interpretation, galleries and exhibitions, festivals and events, studios and workshops, digital developments, professional development and training, public relations, marketing and audience development, fundraising and sponsorship. Get covered: why artists need to have insurance and how a-n can help | News | a-n - a-n's Director outlines why making sure you're properly covered is essential for every practising artist. Artists’ Union England use specialist insurance brokers Hencilla Canworth (see below) to provide their members with £5m Public & Products Liability insurance for £42 pa (2018) tailored specifically for the needs of practicing visual and applied artists who are based in the UK. Axis is a UK registered charity. It works to enable the public to have a better understanding and appreciation of artists. It works with members and partners to promote artists, champion their talents and create new opportunities. They have different classes of members. Being a member means being able to access a wide range of benefits to support artists throughout their career cycle. Axisweb Membership ...includes FREE Public & Product Liability Insurance. And you get FREE Professional Indemnity Insurance. Plus it's underwritten by Hiscox. GSA Insurance Scheme - the Guild Society for Artists have partnered with Hiscox to provide insurance for artists IF you are a member of the Guild. It provides automatic £5,000,000 Public & Products liability and £5,000,000 Professional Indemnity insurance cover. Other requirements of professional artists are covered through their comprehensive scheme - but this attracts a fee albeit with a 10% discount. Offers Third Party Public Liability Insurance, directors and officers insurance and cover against libel and slander. The SAA have negotiated £10 million of third party public liability insurance package, which is included as a membership benefit for all UK art club members. If you hold meetings, events, exhibitions, outings, demonstrations or workshops in your homes, the village hall, church hall, school room or any other place indoors or outside, art committee members could be liable if your group does not have third party public liability insurance. Membership Benefits - Insurance | Scottish Artists Union - ​​The Scottish Artists Union offers both public liability and studio contents insurance benefits to members. The public liability insurance is free and covers all members who pay the standard membership fee. Arts and Crafts Insurance | Direct Line - Customisable insurance for your arts and crafts business; cover if you work at home, in your studio, selling at fairs or online. Public Liability Insurance for Artists | Constructaquote.com Public liability insurance for artists is a key policy for creative types. Find professional indemnity and public liability insurance for artists here. Public Liability Insurance for Artists | Ashburnham Insurance Services Limited Public Liability insurance quotes for Artists. Quick, easy and cheap online policy cover from a UK broker. involve activities not covered by your domestic insurance. DO NOT FORGET TO READ THE SMALL PRINT! Even if you secure insurance for working from home, you have not finished. Check whether the domestic insurer for your house and contents is happy with this. I recommend you start by reading all the small print and the statements you make in agreeing to insurance cover to ensure that one does not invalidate the other! Why? If you don't tell your insurer re buildings and contents that you work from home and you make a claim in the future, the insurance company may decide not to pay out. Check whether any agreement or discounted price ties you to an insurer for a specific time period longer than a year. Why? You pay far more than you need to for longer than you need to. You cannot assume that an insurer covering art will automatically provide this cover. e.g. failure to deliver to 'time is of the essene' deadline and damage to the art after installation. If you are liable as an artist then the cost of the insurance premiums rolling forward need to be prived into the quotation given for the piece. The CODAworx Commission Artist General Liability Insurance Program - This insurance relates to site-specific installations being created for airports, hotels, healthcare facilities, high-end residential developments, as well as public art and corporate commissions. If you envisage you will ever make a claim you must have good records and ideally these MUST be available away from your home (eg in the cloud). On your computer is not much good if it's currently under water! AXA ART: Who We Insure - Through our network of appointed brokers, we provide insurance coverage to owners of fine art and collectible objects in every active area of collecting. Insurance for Art Collections | Hiscox - This type of insurance covers your ‘visual arts’ collection; basically, flat works that hang on the wall. (oils, watercolours, gouache, pastel and mixed mediums, sketches, drawings and artists’ prints, like etchings, silk screen prints, woodcuts, engravings, lithographs and printed posters). Art Insurance | Hiscox UK - Home Insurance which doesn't require separate cover for each individual piece and allows you to display your art. This section is about commercial insurance specifically designed for art galleries. Insurance and Liability in the art world | Private Art Investor - The Managing Director of an integrated international fine art logistics company, Crown Fine Art, talks to Private Art Investor about why liability and insurance is a growing issue in thetransportation of fine art. One-off Exhibition Policy - available to members of a-n only; brokers Hencilla Canworth Ltd and a-n have developed this One-off exhibition insurance policy for practising visual and applied artists wishing to insure their work whilst in transit to and from and whilst on display at an exhibition. American Craft Council Member Insurance Program - American Craft Council members have unique insurance needs. The ACC Insurance Program understands these needs and can provide members with access to innovative, industry specific insurance products and coverage at an affordable cost. Artists & Craft Fair Liability Insurance | ACT Insurance Program - ACT stands for Artists, Crafters and Tradesmen. The ACT program and website is managed by Veracity Insurance Solutions, LLC.ACT-InsPro offers insurance options and information to those in the Arts and Craft industry. Our mission is to create a simple and affordable way for small business owners to purchase insurance without having to compromise their coverage. Fractured Atlas | Liability Insurance for Artists and Arts Organizations Lots of people can sell you insurance, but Fractured Atlas is different. We're a non-profit organization that supports the arts and creative industries. Art Studio Business Insurance, Artist Workroom Commercial Insurance, General Liability Insurance Art - Art studios, like other small businesses, need to protect company profits and assets while also providing the best protection they can for their customers. Getting the Right Insurance Coverage | The Studio Protector - While there may be no way to prevent an emergency from taking a toll on your business, the damage can be minimized with appropriate business insurance. Business Insurance Plans for Artists | The Studio Protector - CERF+ lists insurance agencies and underwriters who market nationally-available business insurance plans geared to the needs of artists. Each company is contacted periodically to check whether the listed information is accurate. Association Insurance Programs - artglass - Art Glass Association members have unique insurance needs. The AGA Insurance Program understands these needs and can provide members with access to innovative, industry specific insurance products and coverage at an affordable cost. Artist & Craft Artist Insurance - Zinc Insurance - Protect the value of your craft with the quality it deserves. This section looks at the issues associated with the The Patient Protection and Affordable Care Act (PPACA), commonly called the Affordable Care Act (ACA) or "ObamaCare". This requires every American to carry health insurance or face a tax penalty. Health insurance is also supposed to become more affordable - and Insurance companies should no longer be able to deny coverage for any reason. This "Guide To Health Insurance For Artists" will help you prepare for the inevitable changes and make a little smoother what will probably be a bumpy transition. Figuring out Obamacare can be confusing, but it's especially important to understand if you're an artist and don't have health insurance. Springboard for the Arts connects artists to excellent, affordable community health resources. Do you have any queries about insurance for art and artists? Do you know of any companies or sites which you would be happy to recommend? If you think this site would be useful to other artists you know please share it - social icons can be found below and at the top of the page.